Posted by Asaki on Aug 13, 2010 in NEWS. Today’s freebie alerts are already up there. We will also post PROMO CODES there – so if you are fast, there are even more free apps up for grabs. Posted by Asaki on Mar 25, 2010 in NEWS. 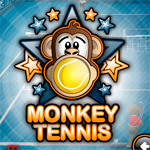 Sauce Digital have provided AppDope the first screens of their next game, Monkey Tennis. 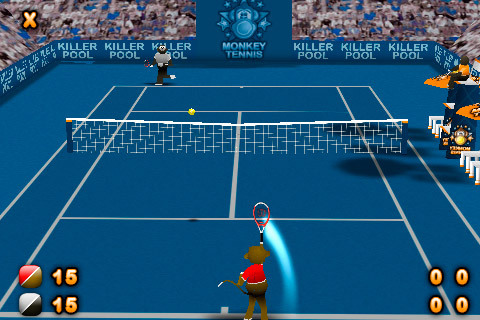 The screens are work in progress, but give a good idea of what the game is all about – which is exactly what you would expect; tennis, played with monkeys. The full game details have not been confirmed, but are set to include knockout, championship and league modes, and also a set of unique challenges. 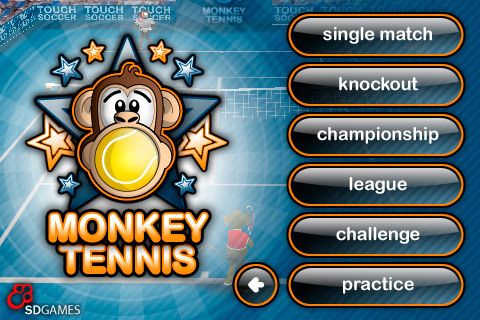 There will be about 30 different monkeys to play with, all with different attributes. Posted by Asaki on Feb 19, 2010 in NEWS. Exclusive news for you AppDopers. 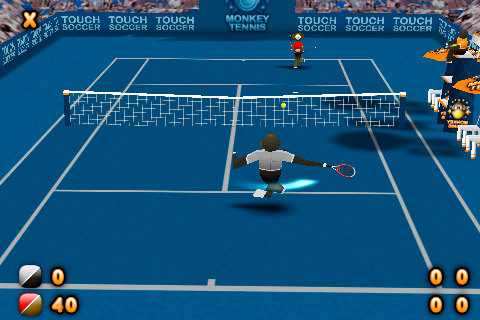 Sauce Digital – developers of Killer Pool, Nano Rally ant Touch Soccer 3D – will next be releasing a Tennis game. There is no official name yet and no screenshots, but the game is well into production. Its 3D, with very accurate physics, and no… it wont have the same control system as Touch Soccer 3D. 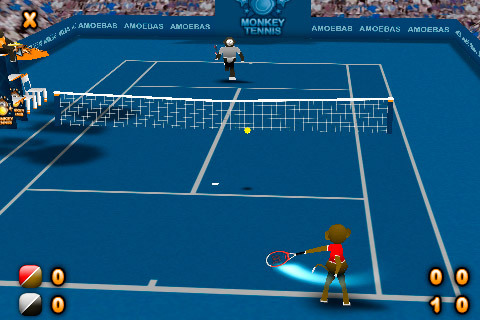 The game hopes to address the lack of iPhone specific Tennis games, and hence the lack of really good ones. The release date is set for mid April.